Today’s post will be dedicated to a great resistant and leader of Africa, the great Lalla Fadhma N’Soumer (also known as Lalla Fatma N’Soumer), an important figure of resistance against French invasion in Algeria. Lalla Fadhma N’Soumer has been seen as the embodiment of the Algerian struggle. The war of colonization in Algeria was one of the most brutal and repressive in Africa; it is said that Algeria lost 1/3 of its population between 1830 and 1872. The war was quite atrocious, and very often we are told of the courage and charisma of leaders such as the emir Abdel Kader, but often in history books, the names of heroines like Lalla Fadhma N’Soumer are forgotten or simply erased. 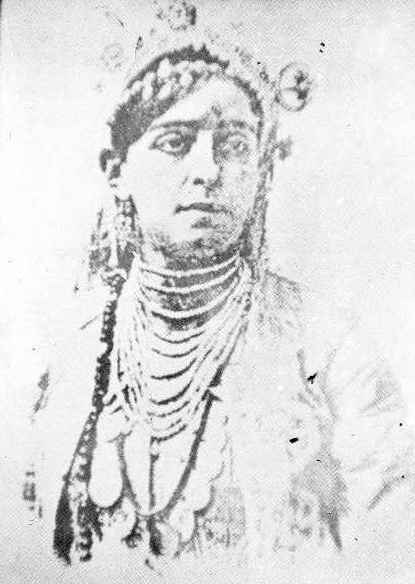 Lalla Fadhma N’Soumer was born in Werja, a village near Ain El Hammam in 1830, the year French occupation started in Algeria. She was from Kabylie. Lalla, the female equivalent of sidi, is an honorific reserved for women of high rank, or who are venerated as saints. Her real name was Fadhma Nat Si Hmed. The title, N’Soumer, was given to her because of her piety and strength and because she lived in the village of Soumer. Fadhma was the daughter of cheikh Ali Ben Aissi, who headed a Qur’anic school, which was linked with the Zawyia Rahmaniya of Sidi Mohamed Ibn Abderrahmane Abu Qabrein. Young Fadhma was extremely gifted, and memorized the Qur’an simply by listening to her father’s disciples when they chanted the various surats. After her father’s death, Fadhma directed the Qur’anic school with her brother Si Mohand Tayeb. She took special care of the children and the poor. She was known for her great piety, notable wisdom, piercing intelligence, and had an excellent reputation throughout the Kabylie region. Fadhma was only 16 when the French occupied Kabylie. 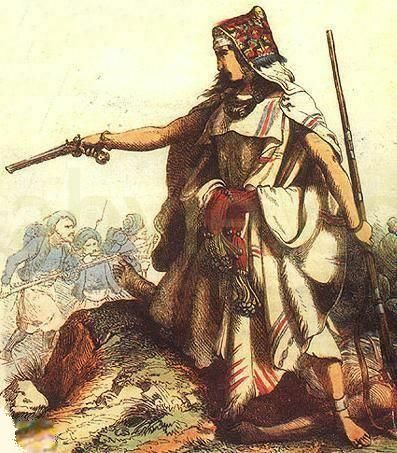 In 1847, she joined the resistance leaders of the region: Si Mohamed El-Hachemi and Mohamed El Amdjed Ibn Abdelmalek (nicknamed Bou-Baghla). Bou-Baghla was probably an ex-lieutenant in the army of Emir Abdelkader, defeated for the last time by the French in 1847. Refusing to surrender, Bou Baghla retreated to Kabylie. From there, he began a war against the French armies and their allies, often employing guerilla tactics. He was a relentless fighter, very eloquent, and very religious. Fadhma and Bou-Baghla were kindred spirits fighting for the freedom of their people. After Bou-Baghla’s death in 1854, Fadhma was given command of combat by the great council of combatants and important figures of the Kabylie’s tribes. She led a strong resistance against Marshal Jacques Louis Randon’s 13,000-strong French army. She gave them a lesson of courage, and determination. Armed with an unshakable faith, Fadhma threw herself in bloody battles to push back the enemy. During the battle of Tachekkirt, led by Bou-Baghla at the time, Randon was captured, but managed to escape later. 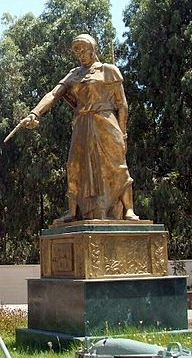 During the famous battle of Oued Sebaou, Fadhma was only 24 years old, and headed an army of men and women; she took control, and led her people to victory, a victory heralded throughouth Kabylie. The mosques, zawiyas, and Qur’anic schools sang praises in honor of the heroine of the Djurdjura. Not willing to accept defeat, Randon asked for reinforcements, with his forces reaching 35,000 men. He asked the people of Azazga to help him reach Fadhma N’Soumer’s quarters, to end “her legend, and misdeeds.” The response to his emissary was “Go to the one who sent you, and tell him our ears cannot hear the language of him who asks us to betray.” Such was the loyalty and respect of the people for Fadhma. In response, Randon promised the people of Azazga constant exposure to his cannons. One can only imagine the brutality of the French against the Azazga people, which were later defeated. Fadhma did not give up, and mobilized her people to “fight for Islam, the land, and liberty. They are our constant, and they are sacred. They can neither be the object of concessions nor haggling.” Her strong personality and inspirational speeches had a strong influence in all of Kabylie, as shown by the sacrifice and determination of the people during all the battles, especially those of Icherridene and Tachkrit,where the enemy troops were greatly defeated. 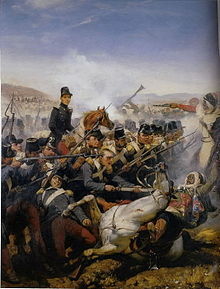 The latter took place on July 18 – 19, 1854, and resulted in a heavy death toll (over 800 dead) for the French troops. Defeated, Randon finally asked for a ceasefire, which Fadhma N’Soumer agreed to. She was planning to use the ceasefire period to improve her organization and reinforce her troops. Fields were plowed and sowed, and arms factories were installed in all corners of the region. However, just like with Samori Toure, or Behanzin, the French did not respect the ceasefire. In 1857, after only three years, they broke their word (as always) and launched offensives in all large cities which had been hard to overtake until then. History will record that the French were always people of no word during the colonization (and even today); they used every sneaky technique they could find to eliminate others… and even with all their ‘superior’ gunpower, and manpower, they could not have won against our great African leaders without using treachery, and treason. Fadhma N’Soumer, whose influence motivated the freedom fighters, appealed to the people for a last and supreme effort. Surrounded by women of the region, Lalla Fadhma directed the fight and encouraged remaining volunteers. However, they lost the battle, and Fadhma was arrested on 27 July 1857, in the village of Takhlijt Ath Atsou, near Tirourda. The French soldiers destroyed her rich library, which contained a rich source of scientific and religious works from the region. They also spent her fortune, which had been used toward caring for the disciples of her father’s zawiya. 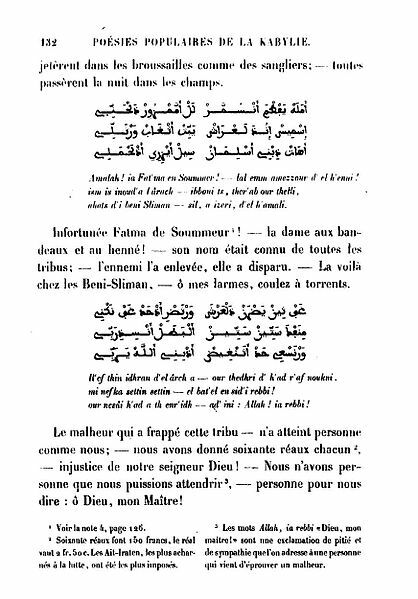 Lalla Fadhma N’Soumer died in 1863, from the hardship of incarceration in Béni Slimane, from the news of her brother’s passing, and the frustration from her inability to act against French aggression on her people. She was only 33 years old. The enemy (the French) nicknamed her, the Joan of Ark of the Djurdjura, a comparison that the religious Fadhma never accepted. To read more about French invasion of Algeria, check out Mediapart. Watch the video below to learn more about Lalla Fadhma N’Soumer (It has 5 parts, and is very instructive). Whenever you think of resistance in Africa, please do remember Lalla Fadhma N’Soumer who by her courage, piety, strength, and charisma was able to defeat the mighty French army, and capture a French marshal/general. Remember that there was a woman who held a rich library of scientific and religious works which was destroyed by the French army (it must have been full of treasures for them to destroy). Remember that this woman served the people, and love them dearly to sacrifice her life for their freedom. Remember, yes, that a woman led men and women to battles, and actually won! « Sierra Leone: Why the Name? Lalla Fadhma N’Soumeur joined Bou Baghla?! When did that happen? Bou Baghla came to the Kabylie precisely ‘to join’ Lalla Fadhma N Soumeur and it was not the other way around. She had already organized a resistance movement when l’Emir was defeated. And her title (not nickname) N’Smoumeur was given to her when she took the region of Soumeur nowadays LNI as her headquarters. Thanks for your comment Fadhma. Thanks for the corrections. I will make the changes.